Victorian manufacturing is at a crossroads. Rising energy and port costs, high taxes and increasing regulatory burdens have made us a hostile location for manufacturers and investors. 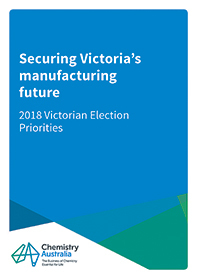 As other states and territories vie to attract domestic and international manufacturing investment, Victoria needs to do more to stay competitive and secure its manufacturing future. Supporting world’s best practice to reduce waste and maximise recycling. We are committed to working with the next Victorian Government to progress responsible policies and actions that will encourage investment, provide jobs, promote innovation and enable the Victorian economy and community to take advantage of new markets and opportunities.